I am looking forward to a merry and bright Christmas. I have visions of colorful and playful decor in my home and on my tree. 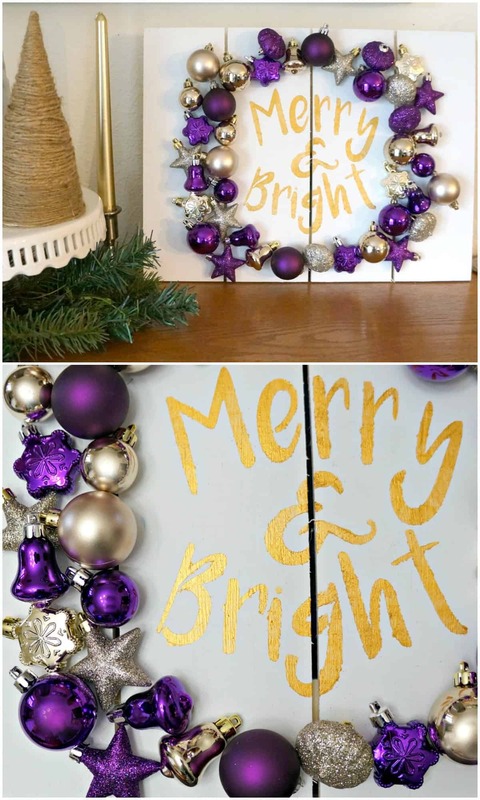 I was inspired by this Christmas pallet sign and today I’m sharing another easy ornament pallet sign that was so much fun to make. In just about a week the fall neutrals will be down and my colorful Christmas decor will be up. I started this sign by creating a stencil using my Silhouette software. 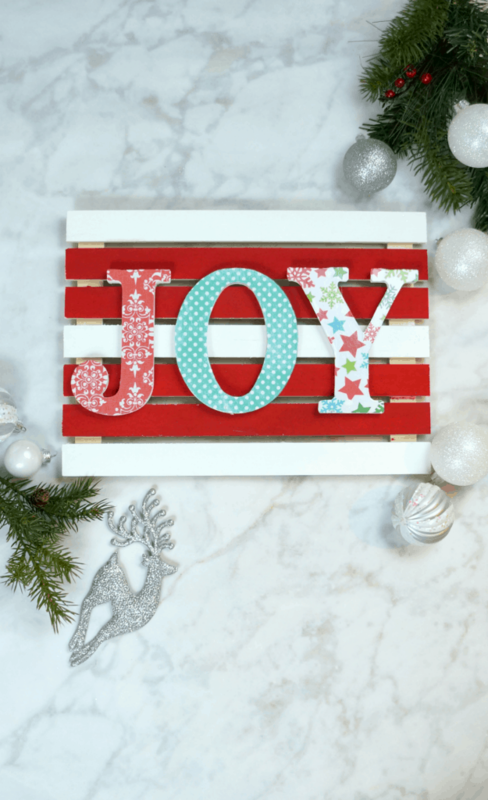 You can download your own version and cut it out of vinyl or contact paper for use on a sign this holiday season. I painted a pre made wood pallet with white chalk paint, then stenciled Merry and Bright using a gold metallic paint. 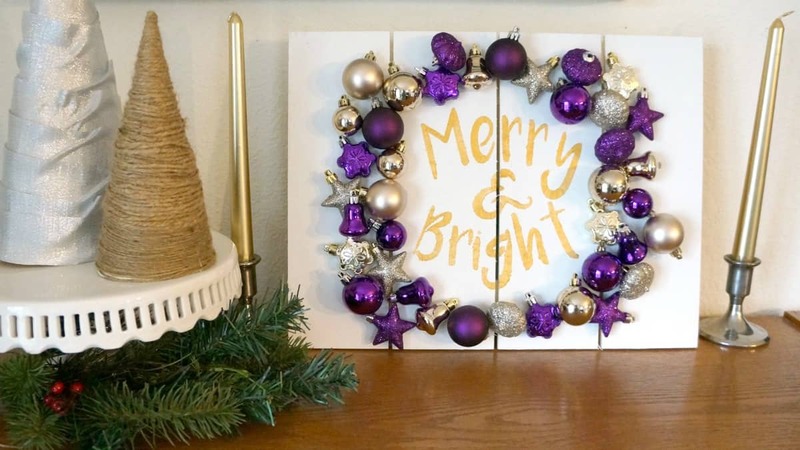 The purple and gold mini ornaments are a fun addition that bring sparkle and color to the sign. A bright sign like this pairs nicely with more neutral pieces I have used in years past like these cone trees and metallic candles. Are you ready for Christmas decor? Tell me what colors you will be using this year. What a beautiful project! I just love the colors you chose too. I’d love to make one of them. Thank you for the video tutorial too. It makes following along easy!